Facebook recently announced the public release of unprecedentedly high-resolution population maps for Ghana, Haiti, Malawi, South Africa, and Sri Lanka. These maps have been produced jointly by the Facebook Connectivity Lab and the Center for International Earth Science Information Network (CIESIN), and provide data on the distribution of human populations at 30-meter spatial resolution. Facebook conducted this research to inform the development of wireless communication technologies and platforms to bring Internet to the globally unconnected as part of the internet.org initiative. Figure 1 conveys the spatial resolution of the Facebook dataset, unmatched in its ability to identify settlements. We are looking at approximately a 1 km2 area covering a rural village in Malawi. Previous efforts to map population would have represented this area with only a single grid cell (LandScan), or 100 cells (WorldPop), but Facebook has achieved the highest level of spatial refinement yet, with 900 cells. The blue areas identify the populated pixels in Facebook’s impressive map of the Warm Heart of Africa. Facebook’s computer vision approach is a very fast method to produce spatially-explicit country-wide population estimates. Using their method, Facebook successfully generated at-scale, high-resolution insights on the distribution of buildings, unmatched by any other remote sensing effort to date. These maps demonstrate the value of artificial intelligence for filling data gaps and creating new datasets, and they could provide a promising complement to household surveys and censuses. Beginning in March 2016, we started collaborating with Facebook to assess the precision of the maps and explore their potential uses in development efforts. Here, we describe the analyses undertaken to date by the Living Standards Measurement Study (LSMS) team at the World Bank to compare the high-resolution population projections against the ground truth data. 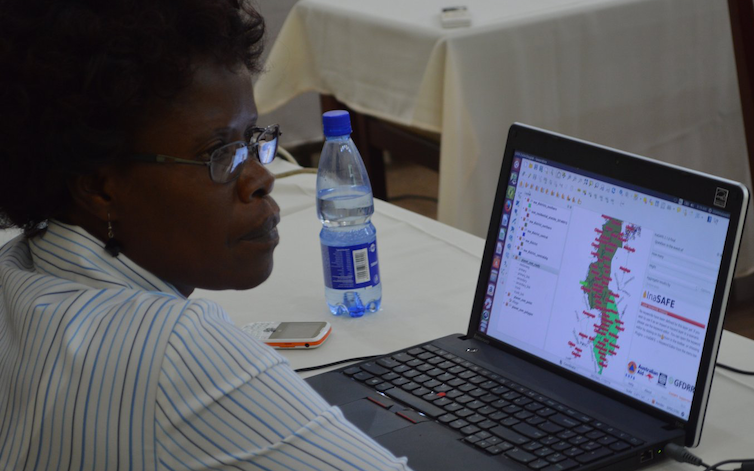 Among the countries that were part of the initial release, Malawi was of particular interest for the validation exercise given the range of data at our disposal.